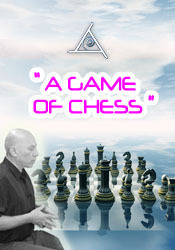 The connections between the various levels of consciousness, physical reality expression, and how physical reality can be analogized to the game of chess. • Is there such a thing as soul mates? • Can you reflect on the concept of maturity? • Are fillers in vitamins harmful? • How does the mitochondrial DNA connect to the sixth generation of hybrid children? • Bashar discusses how playing cards with mom relates to other levels of reality. • Is there such a thing as negative spirits attaching themselves to someone? • If I am ready to have contact with ETs now, what difference does it matter when the collective is ready? • Can you comment on human and animal sexuality? • How common are incarnations on other planets? • Can you please expand on the nature of gravity- how to create it, handle it, harness it and manipulate it? • With our present day technology, how can we measure the locational variable of an object? • Bashar explains how their ships and disappear and reappear instantaneously. • How can I choose a vibration of harmony within my family life? • Why do I feel the vibration of Upheaval Dome more towards the top? • How can we encourage others to help raise their frequency? • If physical pain exists like an injury, does it mean that the core belief of the issue has not been addresses? • Does eating organic food help raise vibration? • Do I shift into a new body with every change? • If I have been studying metaphysics for a long time, why am I not rich? • How will I know if answers inside of me are not coming from my ego? • Will "Big Brother" prevent the hybrid children from landing? • Will our species be able to travel interdimentionally between worlds in the next 20 or 30 years? What technology will make this travel possible? • Why do your people use spacecraft when visiting physical realities? • As time progresses to infinity, won't all the "chess moves" be played out? • Bashar speaks on "super-computers" of the future and artificial intelligence. • Does your civilization have challenges to overcome? • Can the law of attraction bring someone back into your life? • Are "signs" messages from my higher self? • Bashar explains the concept of "permission slips." • Is it possible to shift to a parallel reality and become a hybrid human now? • How does ET contact occur in the template reality? • Can you tell me more about the planets and beings in Orion? • How can we translate the language of the heart? • Are symptoms such as forgetting memory and ringing in the ears symptoms of ascension? • Could you explain what happened to me during a near-death experience? • Could you comment more on Fibonacci spirals?